1. 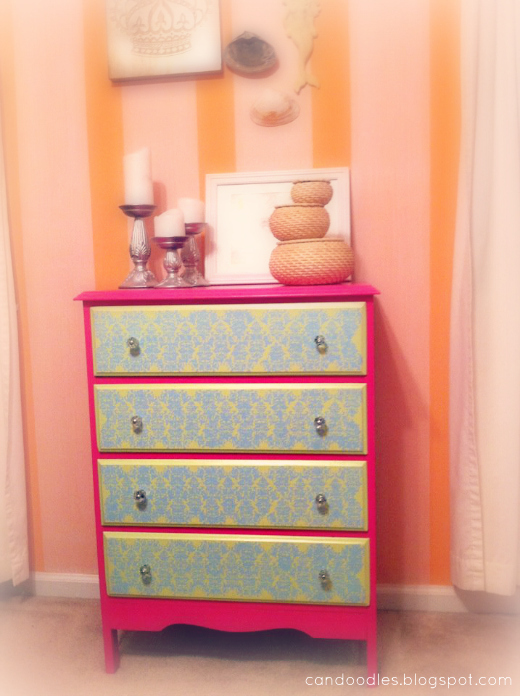 Salvage dresser from grandparents' shed. 2. Carefully remove spider egg sacs from inside. 5. 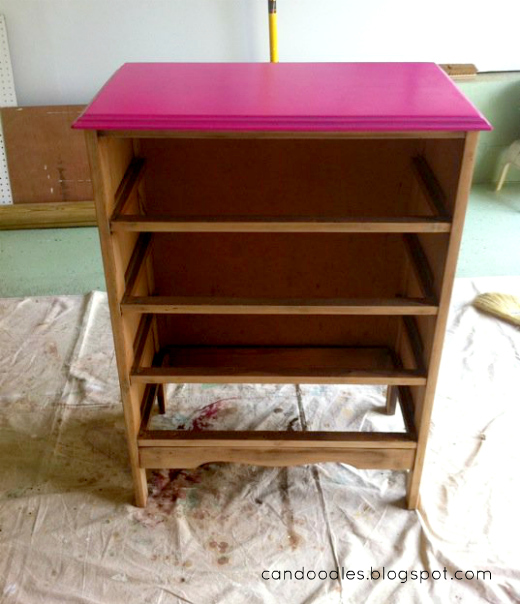 Paint body pink using latex-based paint and a small, foam roller. 6. 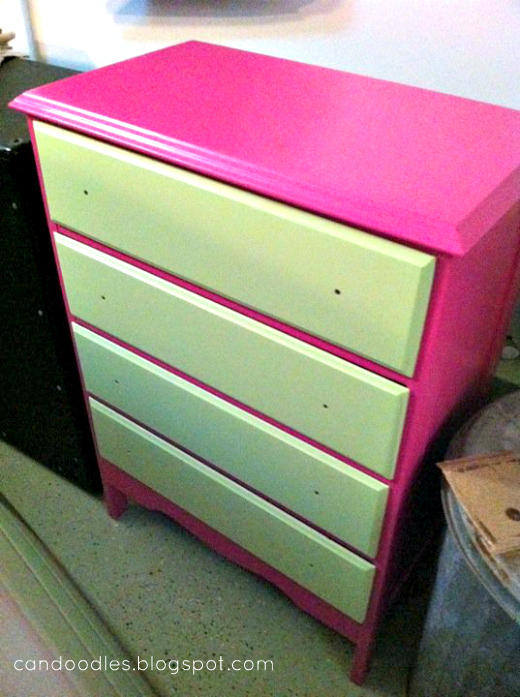 Paint drawers green. Same method as above. 7. 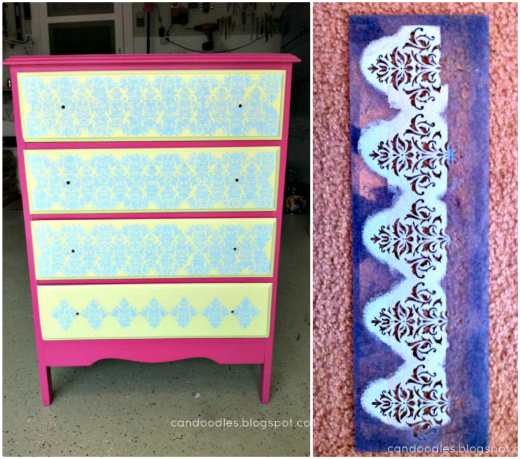 Stencil damask pattern over middle using latex paint, long diamond-shaped damask stencil, and foam stencil dauber. 10. Place points of pattern in spaces above middle stencil. Paint. Do the same on the bottom. 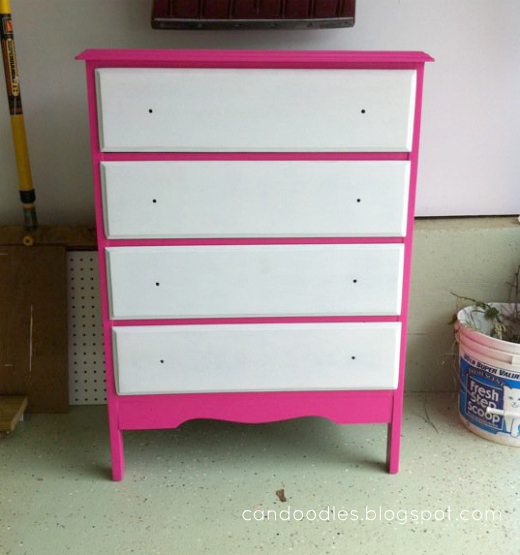 Repeat process for all drawers. 12. Fill with underpants, socks and old T-shirts. 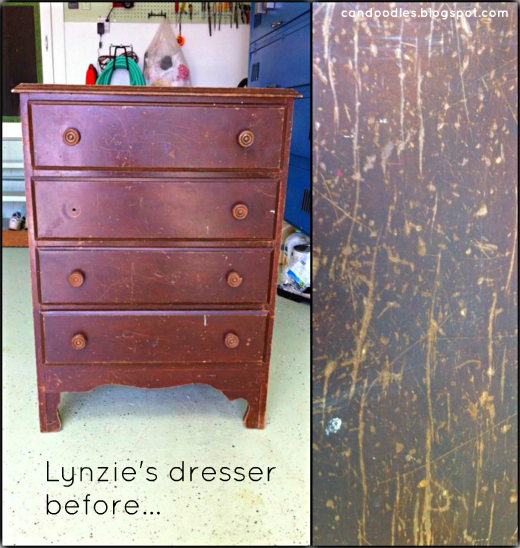 3 comments on "Upcycle: 12 Step Dresser Rehab..."
I OH so love this dresser project! The colors show a creative mind, to say the least!!!! Gorgeous! I now have a walk through for my weekend project, thank you!